Here we are, in the magic week of Cues & Tattoos here in Seattle! 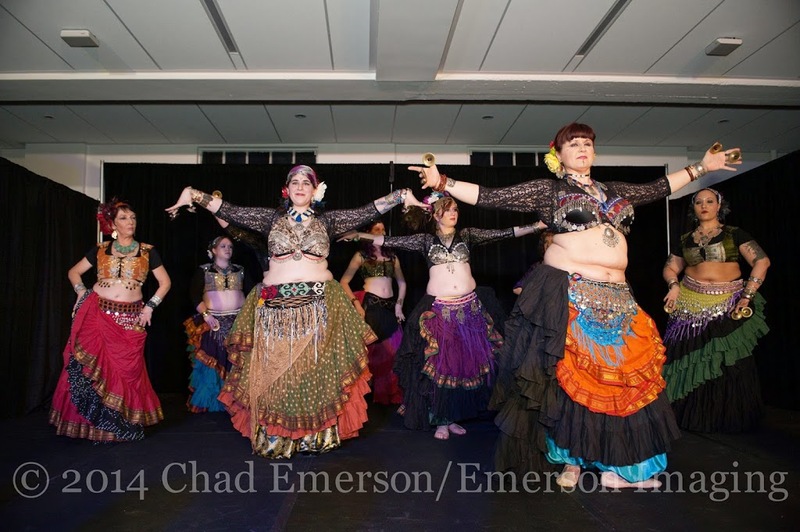 Hundreds of eager dancers from all over the world will converge on our fair hamlet, flocking to workshops with some of the most inspiring and talented teachers, performers, and innovators in the world of tribal bellydance. And as so many dancers new to festivals are coming to dip their toes in the waters, I thought it would a perfect time to talk about some basic etiquette for workshop attendees to keep in mind. Postscript: This blog post has BLOWN UP in just 24 hours. Thanks for the kind words and feedback, guys, I am glad it is helpful information. Also thanks to the many people who had a few more suggestions to add, which I have integrated. Band aids/mini first aid – feet can get beat up, especially in intensives. Be prepared! Dressing appropriately for the workshop shows the instructor you are serious about learning, and aren’t there just to show off your latest purchases. Come in demonstrating you are ready to work! 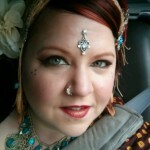 For all styles of bellydance, make sure your hair is off your neck and face. Long hair should be put up in a pony-tail, bun or similar so the instructor is able to see your neck and shoulders. Feet should be bare or with appropriate dance shoes. If you wear a solid dance shoe for arch support (like a jazz shoe or tennis shoe), make sure these studio shoes are used only in the studio, never worn on the street. You don’t want to track in any rocks, dirt, glass, etc for those dancing barefoot. If you will be going on break outside the building, make sure you have shoes you can easily slip off and on so you can keep the studio shoes clean. For ATS classes, the “uniform” usually means a full skirt with leggings and a fitted top or choli. Avoid pantaloons, as they obscure your legs and feet. It’s important that tops be fitted and/or cropped so the instructor can easily see your posture. Avoid flowy sleeves as they obscure your arm and shoulder line, and frankly just get in the way. 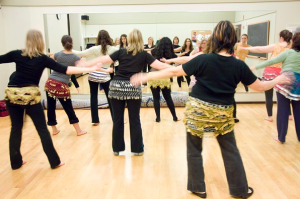 For fusion classes, leggings, jazz or yoga pants are suitable. A hip scarf is not only fun to wear, but delineates your hip line better. 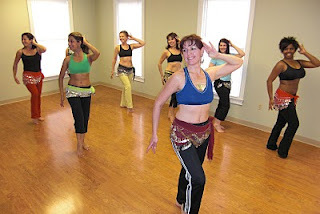 A fitted or crop top is also ideal for these classes, so the teacher can best correct posture and body line. Skip the full skirts unless the class description and/or style specifically calls for it. Avoid jingly scarves! They are fun for home use and performance, but create a noisy distraction in workshops. Imagine if a room of 50 participants all decided to wear coin scarves to a workshop. Don’t you get a headache just imagining the ruckus? Fringe, lace, crochet, sequin scarves are all beautiful, and sidestep adding extra noise to an already bustling space. Also related to “what to wear”, as a courtesy do not wear perfumes, oils, or scented hair or body products to workshops. Much like jingly scarves, imagine if all 50 participants showed up with their favorite perfume on. That would be headache-inducing to pretty much anyone, but even a tiny fraction of that scenario would be debilitating to fellow students who may be smell-sensitive. We work in close quarters, and the best thing you can do is arrive fresh and clean, sans any additional scents (this is a good rule of thumb for weekly classes, as well, BTW). It is a sign of respect for the instructor (and the coordinators) to show up on time for your workshop(s). On time means arriving about 10-15 minutes early wherever possible, so you can sign in/check in, put your things down, and get prepared for the lesson. Many workshops may not include a warm-up, so taking this time to get your body limber for the challenges ahead is a smart move. You will invariably see friends you recognize, so invite them to warm-up with you–you can chat and prep at the same time! Also of note: if you must leave early for any reason, if at all possible notify the instructor before the workshop so she knows to expect your exit. If it is an unexpected issue (such as illness, injury, etc), make your exit at an appropriate time with as little distraction to the other dancers and teacher as possible. Workshops are usually pretty full, which means there’s lots of noise when you’re all coming in. Let’s spare each other and the instructor an unbearable cacophony and make a point to talk quietly and gather our things gently. Kick your street shoes off near the door to avoid tracking in dirt or rocks. Carry them to a spot in the room near where you would like to place yourself for the lesson. If your class uses finger cymbals, get them out but under no circumstances put them on or play them until instructed by the teacher. Try to keep your area orderly and don’t take up too much space–when everyone arrives, an area to put down your stuff comes at a premium, so share the space courteously with others. Also: TURN OFF YOUR RINGERS, friends. Don’t forget and be “that dancer”. Find a spot in the room where you would like to work and wait for the workshop to begin. Do not be afraid of being toward the front. That said, tall dancers would be kind to stay in the middle or back, allowing shorter dancers a spot closer to the front where they can see. If no one is moving to the front, fill in. Teachers respect students who “brave” the front–it is signal to them that you are there to work and are not going to allow self-consciousness to overcome you. If you’re concerned about other students watching you, trust me, they are WAY too busy worrying about themselves and trying to follow the teacher to spend any time watching you. And if you are concerned about the instructor watching you think of it this way: why wouldn’t you want this incredible mentor to lay eyes on you and offer you correction? Isn’t that what you are there for? This is an opportunity, so take it. Paying attention seems like something that shouldn’t have to even be mentioned, and yet anyone who has been to a workshop can attest to witnessing people who are chatty during workshops–even talking when the instructor is talking, sometimes forcing the instructor to repeat themselves for their benefit later when the unfocused students ask something that was already discussed. Pay attention, friends. Listen to the breakdown. Watch the concept being demonstrated before you attempt it yourself. Listen to other people’s questions so you don’t repeat them. Listen to the answers, even if you think you already know the answer. This is a big one for teachers and advanced dancers who get used to doing things a certain way, and already have answers formulated for common questions. But there is incredible value in hearing how instructors other than yours, or yourself, deal with these questions. Listening with the ears of a baby dancer will never steer you wrong–pretend you don’t know the answer and see how the instructor responds. 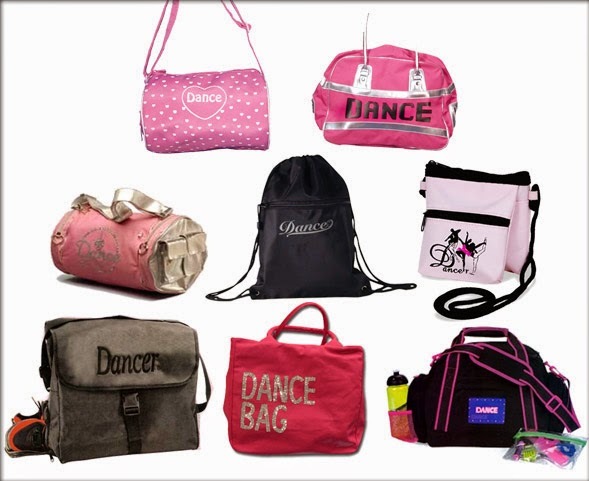 It will inform your dance and teaching skills, both, to remain humble and keep your ears and mind open to everything. And talking while someone else is talking? Do I even have to say it? Just rude. Zip the lip. This is a line Carolena used in our General Skills and it has always stuck with me. It is excellent to ask clarifying questions, to fill out your understanding of the lesson being presented. Good teachers love good questions! What is not okay is challenging the teacher, comparing the technique to another teacher’s methods, or god-forbid correcting the teacher in any way. If the instructor asks YOU a question in this vein, it is appropriate to answer, but do not offer information or correction unsolicited. This is that teacher’s classroom, so honor that space and work with their methods while you are under their tutelage. Also, be mindful of asking too many questions. Don’t “hog the mic”. Choose the right moment and the most important questions to you, and leave space for other students to ask their questions. If the instructor offers you correction, do not take offense or make excuses. When a teacher offers corrections it is for your benefit, and is often a compliment that she feels you are capable of applying that correction (hint: in any style you study, the most hapless dancers in a classroom often get less correction/attention, I assure you). If you care to ask for clarification on the correction, then do so briefly. Remember the teacher may be trying to get around to put her eyes on dozens of dancers, so keep your questions/interactions brief so she can move on. Whatever you do, as with any gift you are given, always ALWAYS reply with a “thank you”. This is a particular struggle for teachers, but can be an issue for any dancer who has the strong instinct to “help”. In a workshop, your job is to work on you and you alone. Not the person next to you, not your friend, nor your student who is in the workshop with you. Let the instructor be the one to offer correction and do not intervene, no matter how helpful you think it is. If you feel your own student needs clarification or adjustment, you will get to speak to them later on your own time. But now, in this space, you need to focus on your skills, not police anyone else’s. So, too, try not to ask questions of your teacher (now a fellow student) or friend or other participants. Questions on technique should be directed to the teacher. Questions are valuable to both the teacher and your fellow student–for the teacher, they get to hear what you need or are confused about, so they can refine their language or methods based on your questions; and for your fellow students you may draw attention to a detail they hadn’t noticed, or were struggling with and were too shy or confused to know how to ask. Exceptions to this last “rule” would be quick questions like “Did she say on the 3 or the 4 count?” or “We’re turning left and then pose, or turn again?” It is reasonable to ask, or answer, any question that is brief and can be succinctly answered. If someone asks you something that you feel is outside the realm of a “quick answer”, encourage them to direct their question to the instructor. At large festivals, many students pack their schedule to the hilt with workshops (on top of performances and parties! ), and it takes its toll. Don’t overdo it. Listen to your body, and be willing to take it easier or even sit out if needed. Having your trusty notebook nearby is a must. Move quietly to the side, grab your water bottle and get hydrated, take notes for a little bit while you give your body a little rest. If the class or intensive has a break, use that time to really rest, fuel up, hydrate, and come back refreshed. Don’t eat or drink anything too heavy or large, as it will weigh you down or possibly give you muscle cramps. Good proteins, healthy sugars, and good old water are the best thing a dancer can focus on during festival madness. 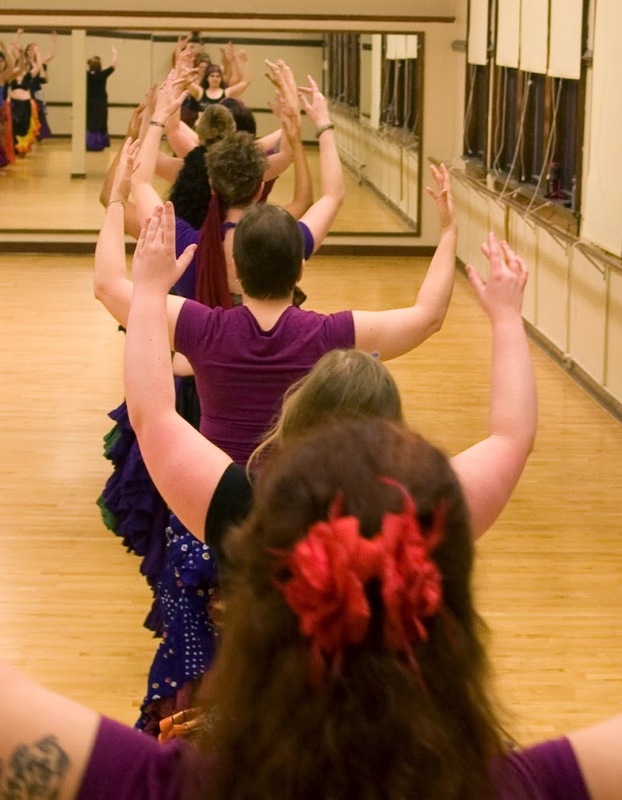 Workshops can be crowded, and can be filled with dancers of many different skill levels and spatial awareness. Be mindful of the space around you so you don’t crowd anyone, and of course avoid collisions. Try not to block anyone’s view whenever possible, and don’t be afraid to ask someone to take a step or two to the side so you can also see. They may not know they were blocking you, and would want to know! If there is appropriate time to do so, approaching and thanking the instructor and/or assistants is wonderful. You get to express your gratitude for the gift they have given you, and they in return get positive feedback. I can speak from experience that we teachers hear a lot more second-hand praise than we ever hear directly, and it’s a shame, really. We love to see your shining faces after workshops, and everyone can use positive reinforcement. Of course, if the room is turning over quickly and you need to move out, or there is a big crush of students vying for the instructor’s time, you may not have a chance to thank them then and there. If you get a chance to see them later around the vending area or in a hallway (when they are not rushing somewhere or otherwise busy), a brief “Thank you so much for the workshop yesterday/this morning/earlier. I really learned a lot.” is always appreciated. Festival coordinators are always seeking feedback on their workshop topics, instructors, format, organization, etc. Do them (and the instructor and yourself) a favor by sending a note letting them know what you particularly enjoyed so they can keep up the awesome work. 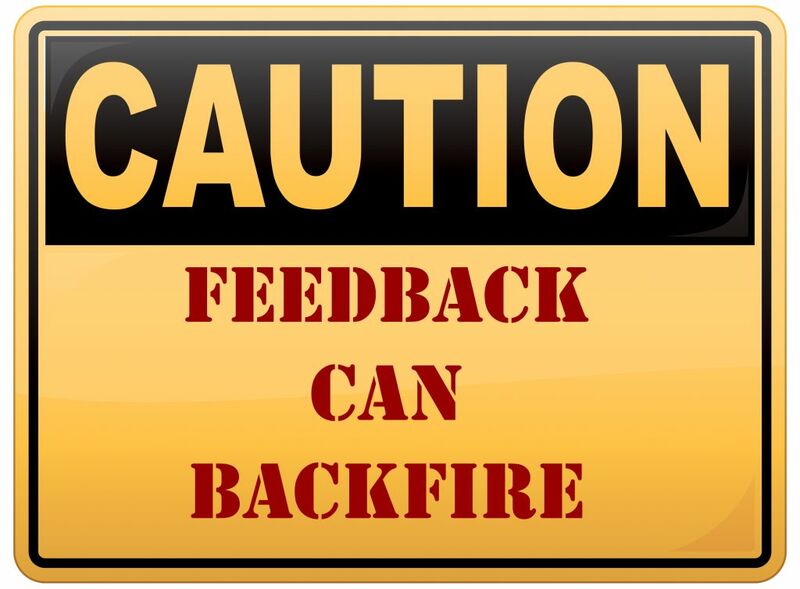 For the teachers, good feedback in the promoter’s ear can mean being invited back again in the future, while no feedback at all can actually work against them–if a workshop was awesome, but no one comments positively about it, the organizers may wonder if it was actually any good. The hosts can’t be everywhere at once, so we participants are the eyes and ears. If something was amiss, they would want to know and be empowered to correct it. And if something was great, they can use the positive boost, as can the instructors you praise! So that’s my list! Was it helpful? 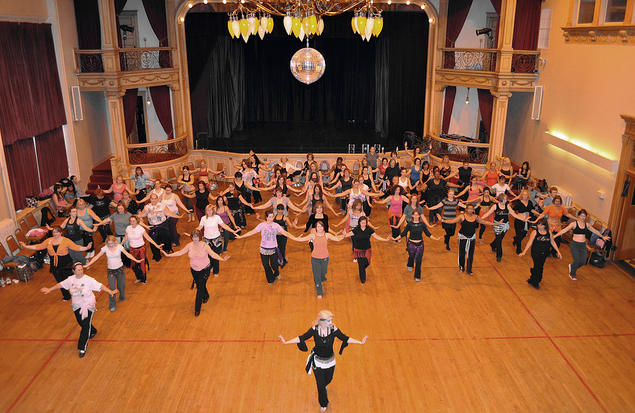 What other advice would you offer dancers coming into festival workshops for the first time?